Chicago Silver Star Crystal Corporate Award. This amazing premium awards are available in 2 sizes, 250mm and 270mm high and come complete in a presentation box. 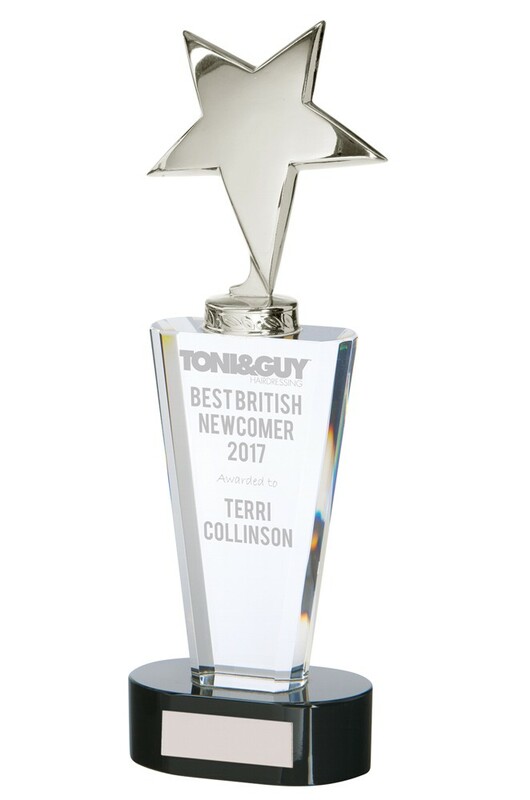 These are stunning, unique awards, nickel plated silver star, clear crystal column on a black solid crystal base. You can engrave with your logo and/or text. Additional charges apply. Alternatively you can have an engraved plate on the base of the award free of charge.